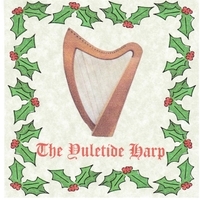 Joan Hall released her latest CD, The Yuletide Harp, available on download at CDBaby.com. The Yuletide Harp features twelve Celtic harp pieces, including several with flutist Danika Gooch as accompanist. Classical and traditional in nature, these selections range from several centuries old to a piece written just a few years ago.